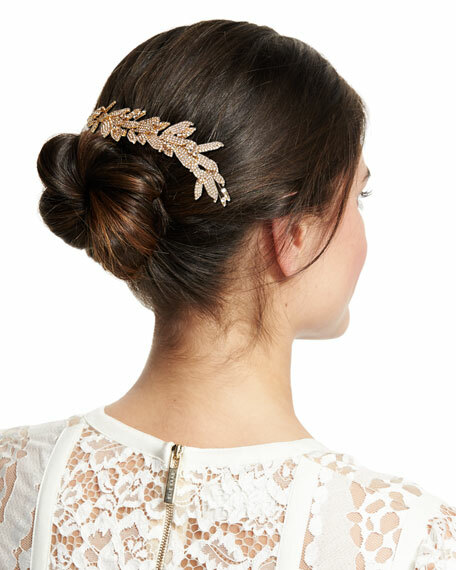 Jennifer Behr double comb barrette. 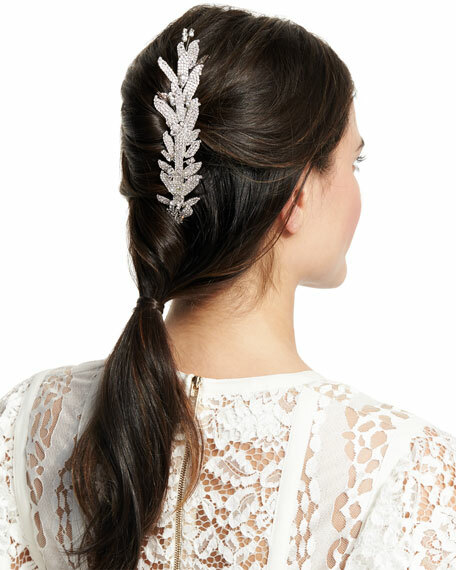 Golden metal with Swarovski® crystal-encrusted cascading leaf motif. For in-store inquiries, use sku #333.